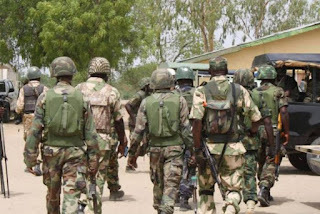 Miffed by the alleged illegal occupation of their land by the Nigerian Army, the people of Uvwie kingdom, Uvwie Local Government Area, Delta State, yesterday vowed to embark on a showdown with the soldiers, saying they are prepared to die than to allow the continued plundering of their land. They also threatened to drag the Nigerian Army to the United Nations and the World Court should they continue to hold on to their land. The community, in a statement signed by their counsel, Chief Victor Otomiewo, lamented the disregard of the army to the orders of President Muhammadu Buhari and the House of Representatives Committee on Public Petitions to discontinue the acquisition and sales of their land to private individuals. Otomiewo, in the statement, said: “The Uvwie people have resolved to take their destinies into their hands by resorting to a showdown with the authorities of the Nigerian Army any moment from now.